Welcome to cumbre travel! 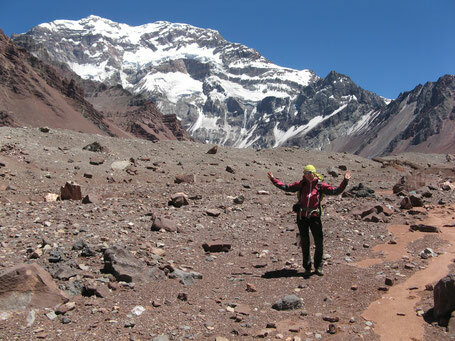 Here you will find a lot of inspirations for mountain tours and expeditions. I am a passionate trekking guide and like to invite you to discover popular routes and hidden paths in the mountains worldwide. Scroll via the above navigation line through my galleries of photos and get some ideas for your next mountain holiday. Join me on one of my tours! Send me a message to mail@cumbretravel.com. What should I write here? Well, let's start with simple things. My name is Sybille. I live in the German part of the Alps. I am a professional Trekking Guide. Mountains are my passion. I love it to be outside, in lower and higher altitudes, worldwide. I travelled a lot by myself and worked in different countries as a Trekking Guide, Trainer and Ski Instruktor. I love it to work with people, especially outside. It always makes a difference if you do for example a indoor staff training or a outdoor training. The power of nature provides a great learning environment. Up on a mountain things appear to be different. A mountain can be your limit and you can't proceed further, or it can be the chance to find new paths, new ways of thinking differently. This is what I love about working with people in mountains. Join me on one of my tours, I would love to share my experiences with you.